Meet the stunning gentleman who is Mitchell. 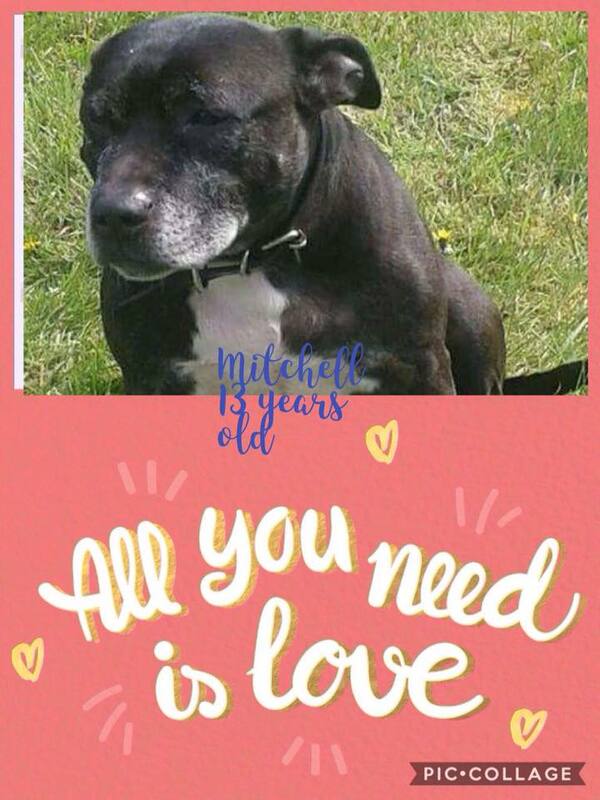 Mitchell is 13 years old, and sadly looking for a new home through no fault of his own. Mitchell has been proven good with children of all ages, he even likes cats. He used to play with the female staffie at his old home but has not mixed much with other dogs since being in our care. We were told he does not really care for male dogs. If you are interested in adopting Mitchell please contact us . Homecheck and a nominal donation apply.